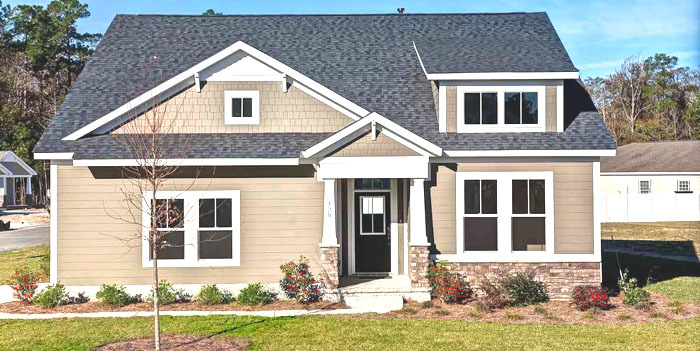 Ever expanding, Prince Creek in Murrells Inlet has proudly added another new subdivision to its family. Champions Village offers 71 homes and home sites which feature pastoral views of golf course greens, wetlands, and a nature preserve. One and two story houses with 3-6 bedrooms, living spaces of 1605 to 2709 heated square feet, and attached 2 car garages start at $250,000 and go up to around $450,000. Features like stainless steel appliances, granite countertops, covered rear porches, and tank-less water heaters make these homes a showplace for homeowners. Prince Creek is the home of the Tom Fazio designed Tournament Players Club, the only TPC in South Carolina. Champions Village homes border the course and offer scenic views of the 16th, 17th, and 18th holes. As with most things location is the key and this neighborhood in Murrells Inlet is in the center of it all. Students attend great schools in the St. James School District. All of the attractions, dining, entertainment, and shopping Myrtle Beach is famous for is only about 30 minutes away. 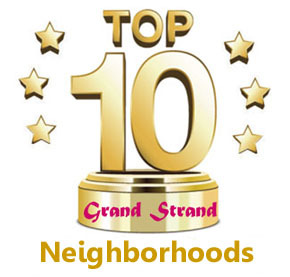 Market Common, Huntington Beach State Park, Brookgreen Gardens, the boutiques on Pawleys Island, and great beaches are all nearby. Bank, grocery store, pharmacy, and services that keep your life on track day to day are practically across the street. Call us today to schedule a tour of Champions Village or any of the beautiful Prince Creek communities. Our real estate experts are waiting to help you find your dream home. Listing courtesy of The Litchfield Co.RE-PrinceCrk , Chris Bowers. Listing courtesy of The Litchfield Co.RE-PrinceCrk , Eryn Greene.